MEMBERS – GET YOUR ORDERS IN! Additional Tickets will be available from tomorrow morning for all BHRFC members new and old for the NOVEMBER Autumn Internationals until the 5th Oct. 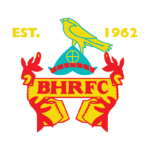 The tickets are allocated to BHRFC members; therefore, tickets must be for the sole use of members and their guests and not sold to external parties or the club may face sanctions. If in doubt please speak with a member of the Exec Team.